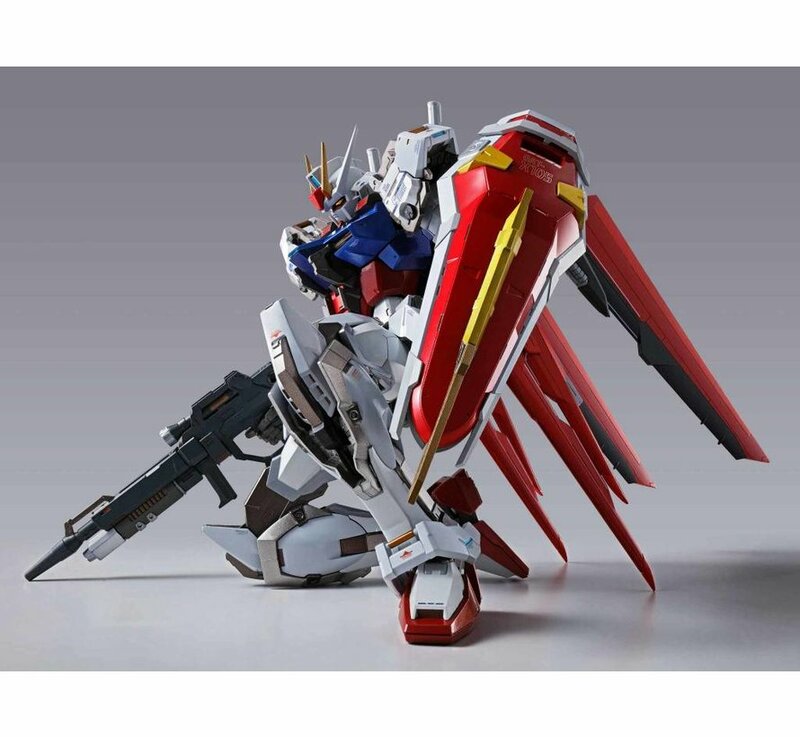 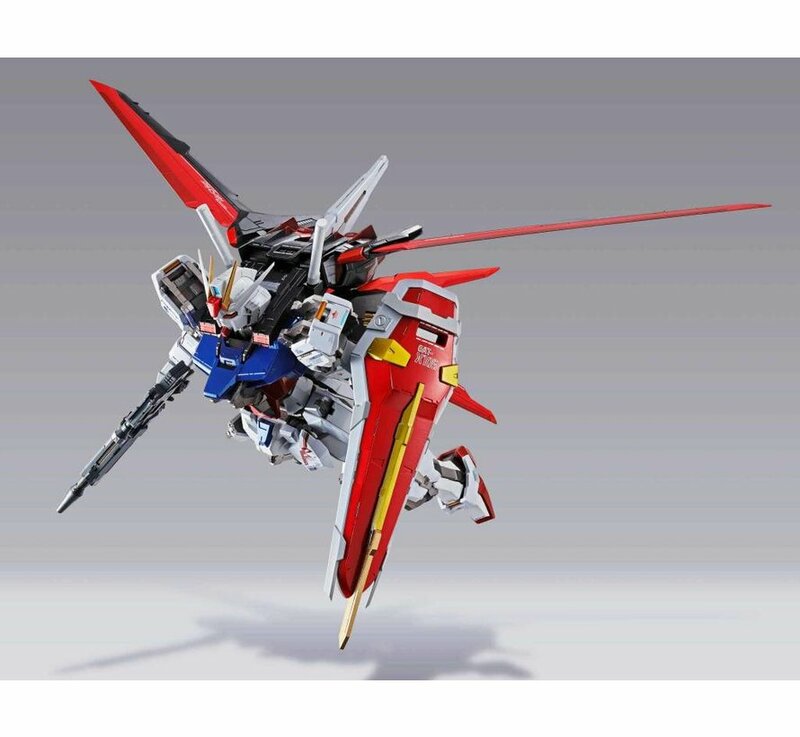 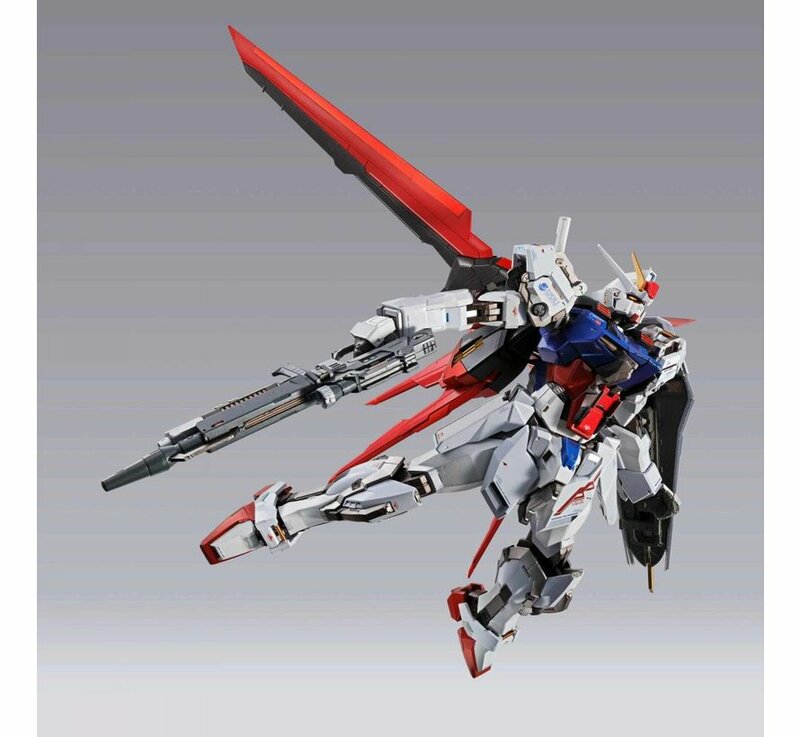 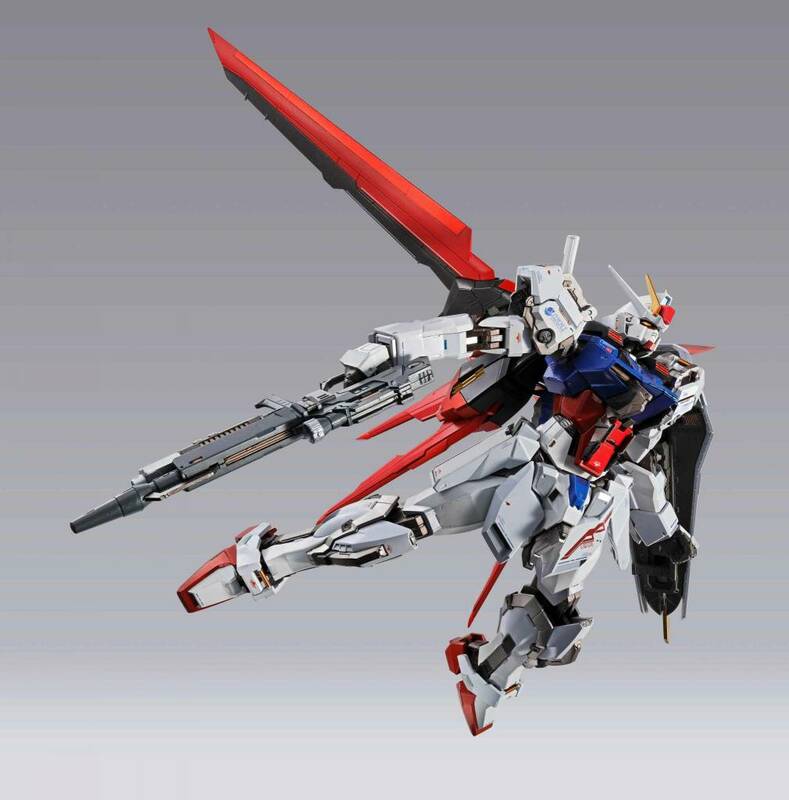 A new era of METAL BUILD figures is here with the Aile Strike Gundam, featuring a cutting-edge new multi-material frame and Striker pack. 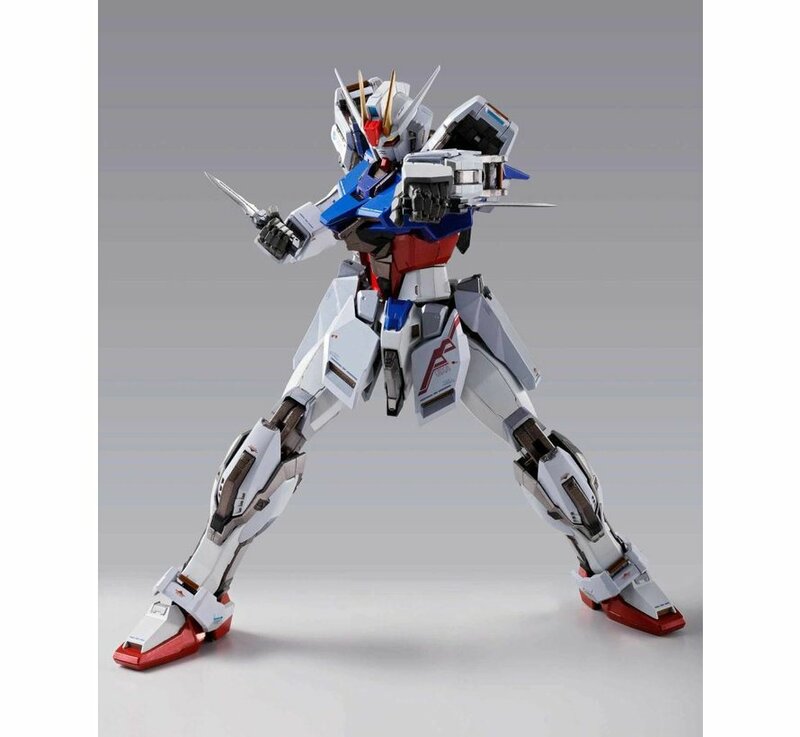 Overseen by mechanical designer Kunio Ohkawara and animator Satoshi Shigeta for an totally fresh and new take on the classic character that looks like nothing you've ever seen before. 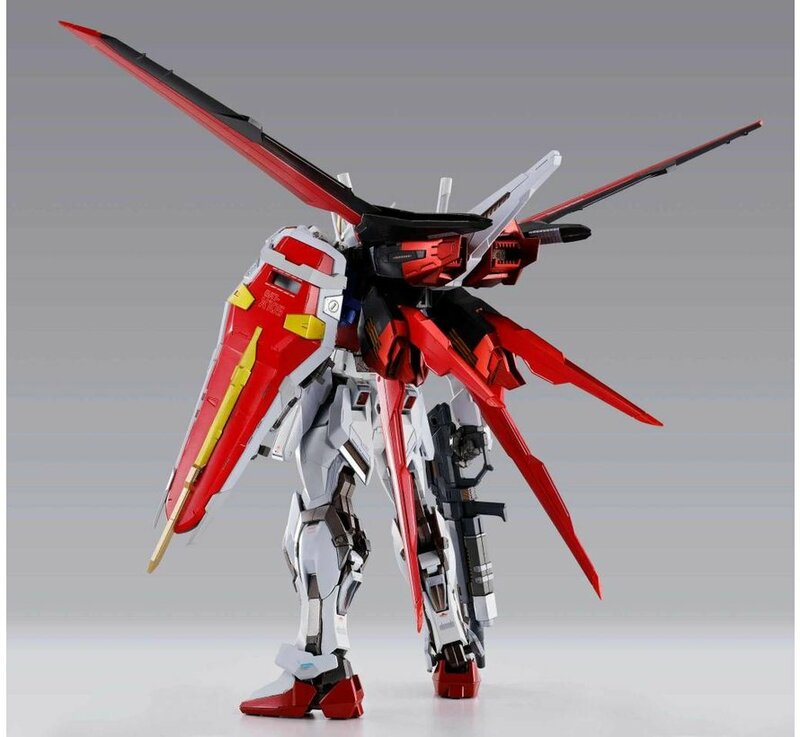 The metal frame of the Strike is finished in two tones of chrome. 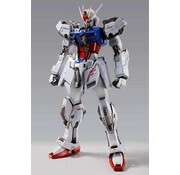 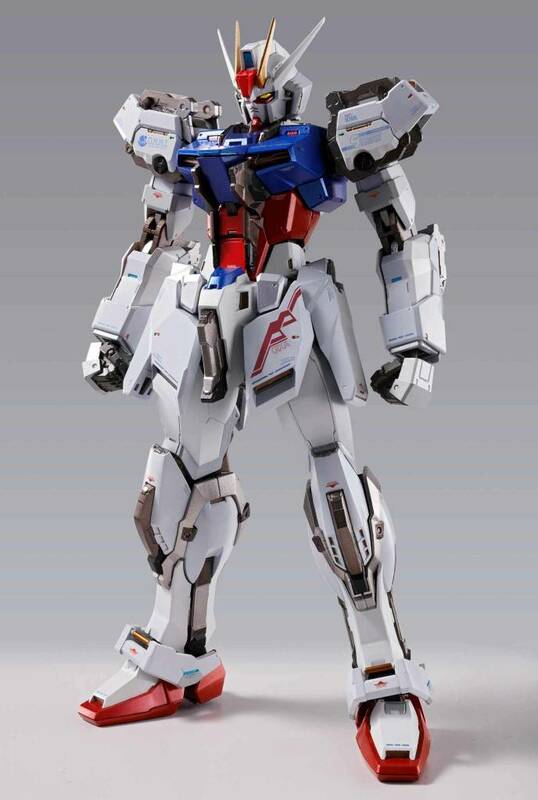 Metal parts are used throughout for a luxuriously realistic sense of weight. 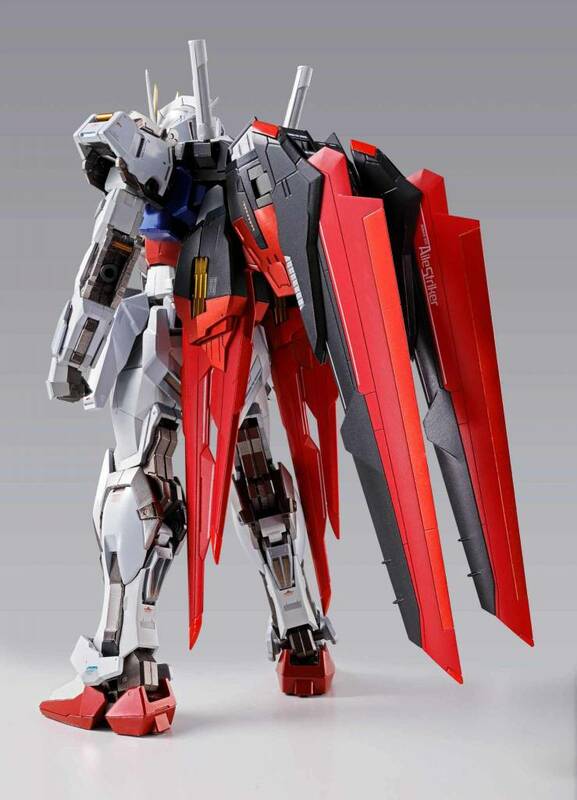 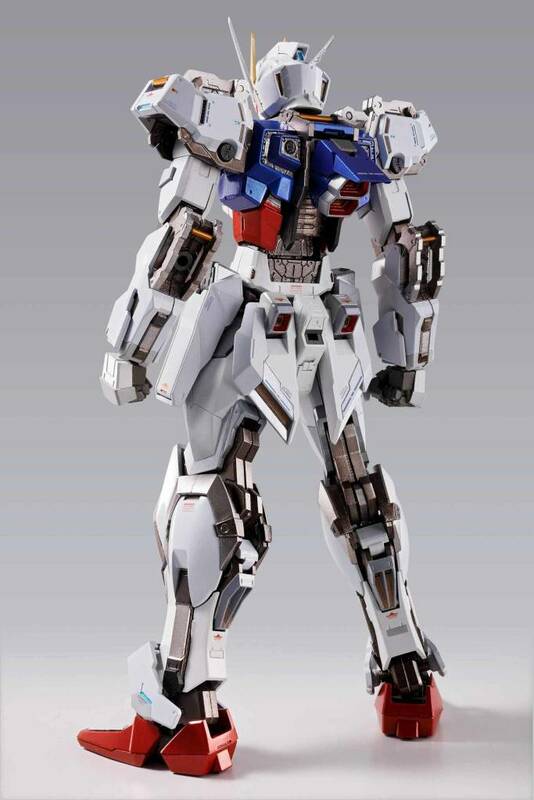 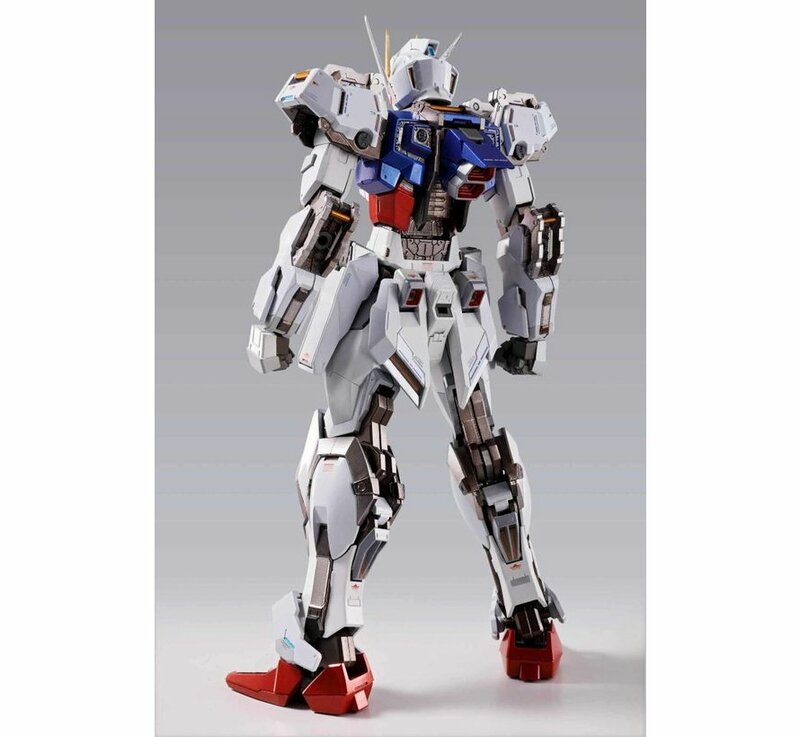 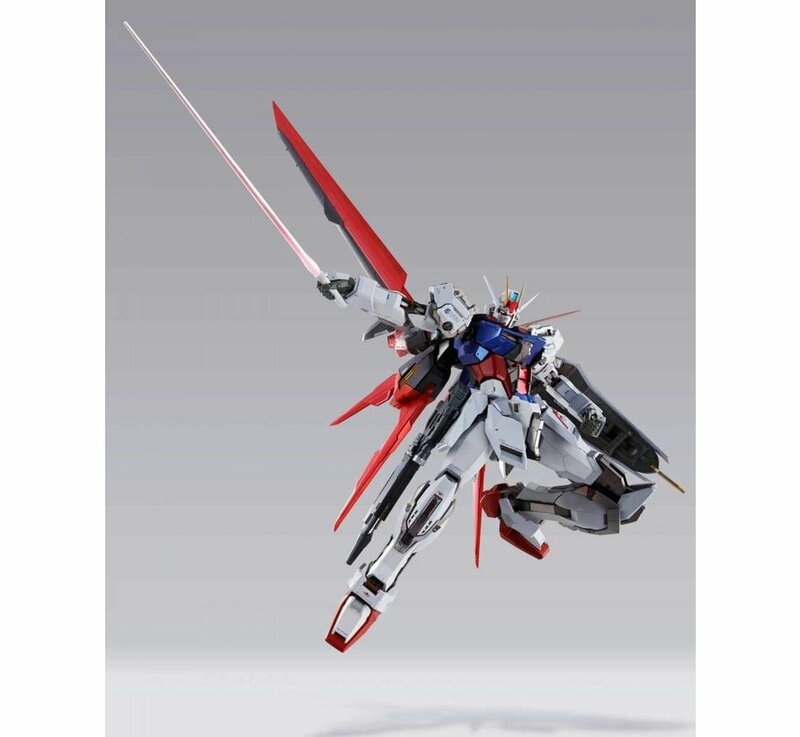 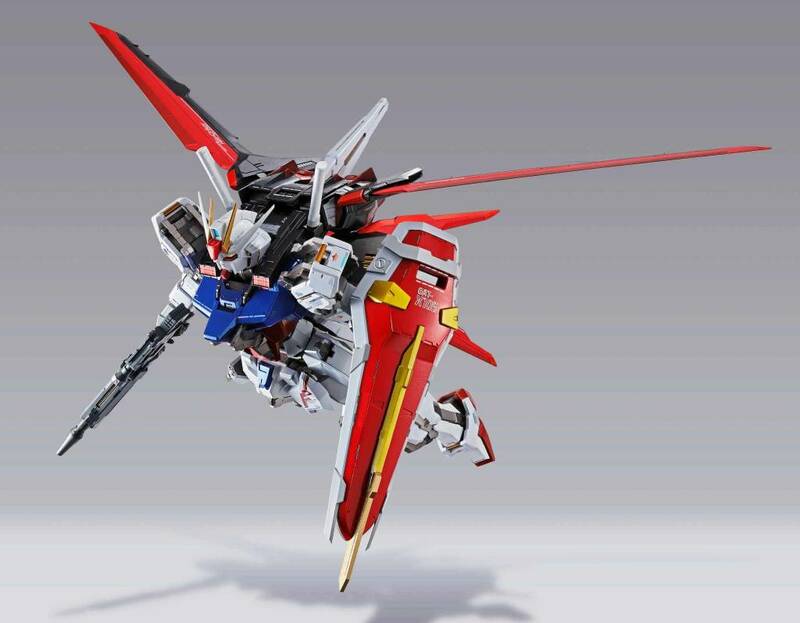 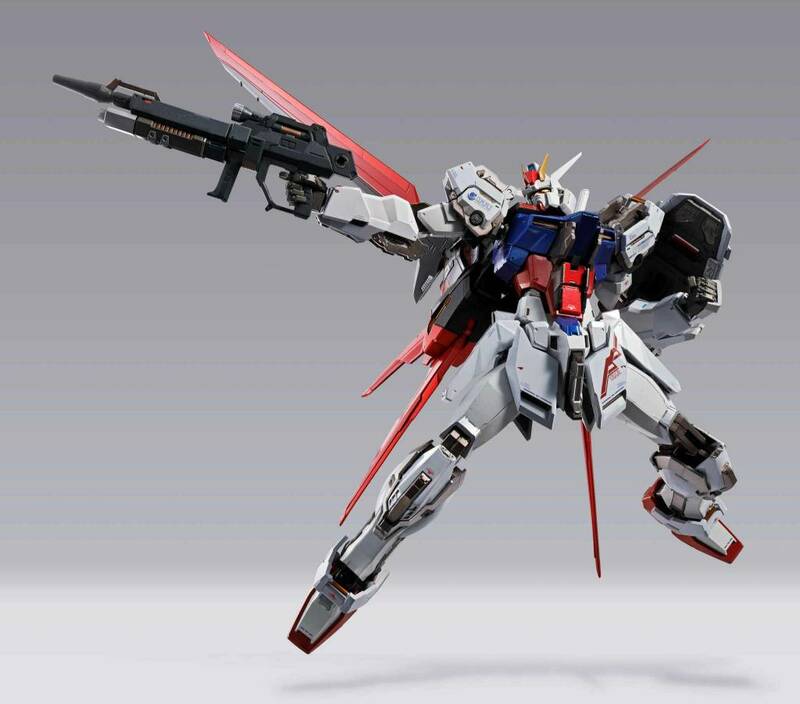 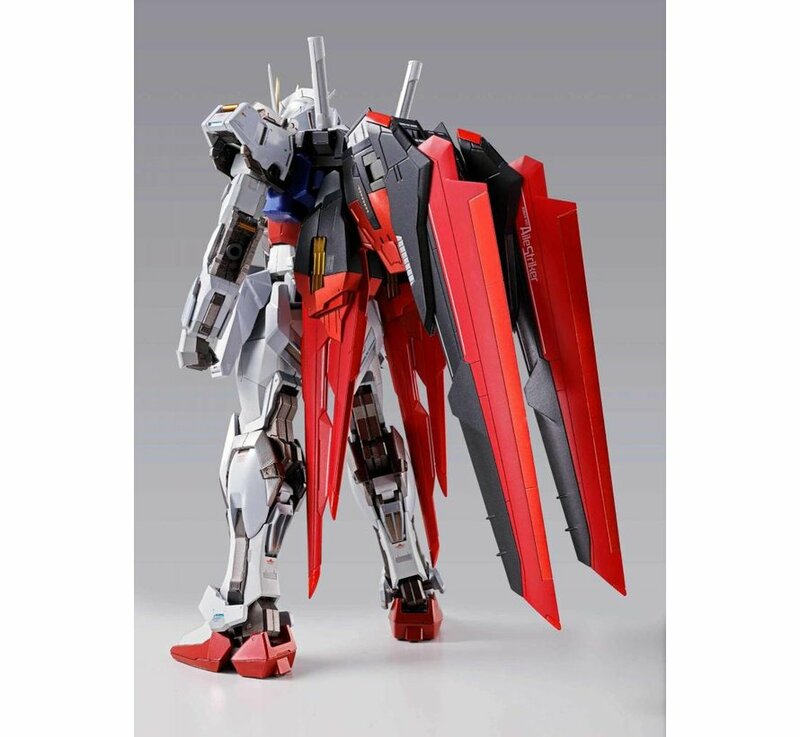 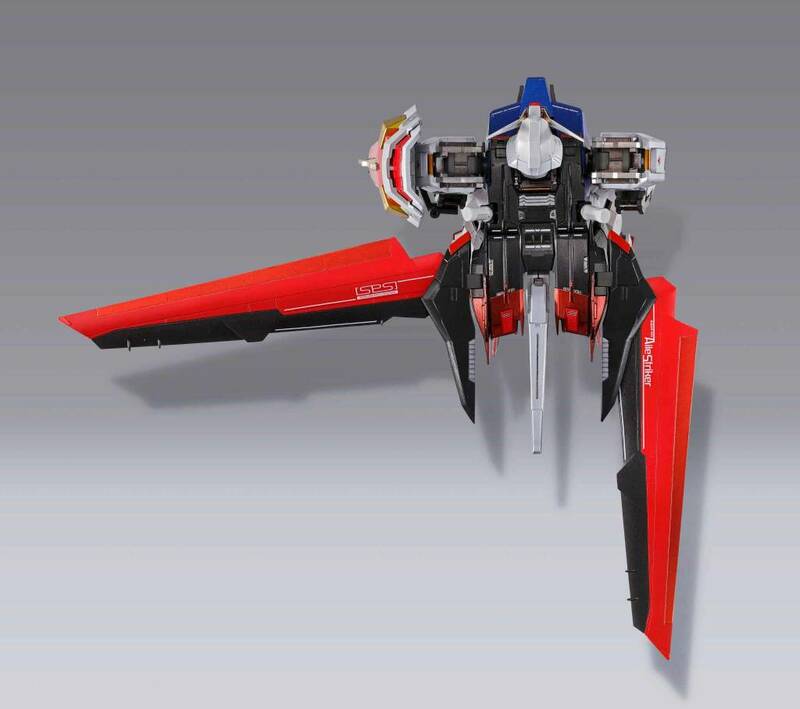 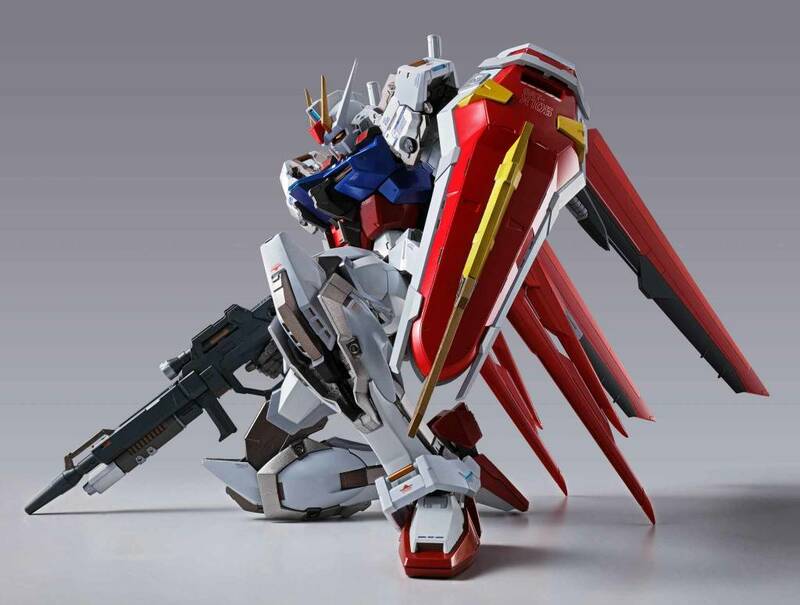 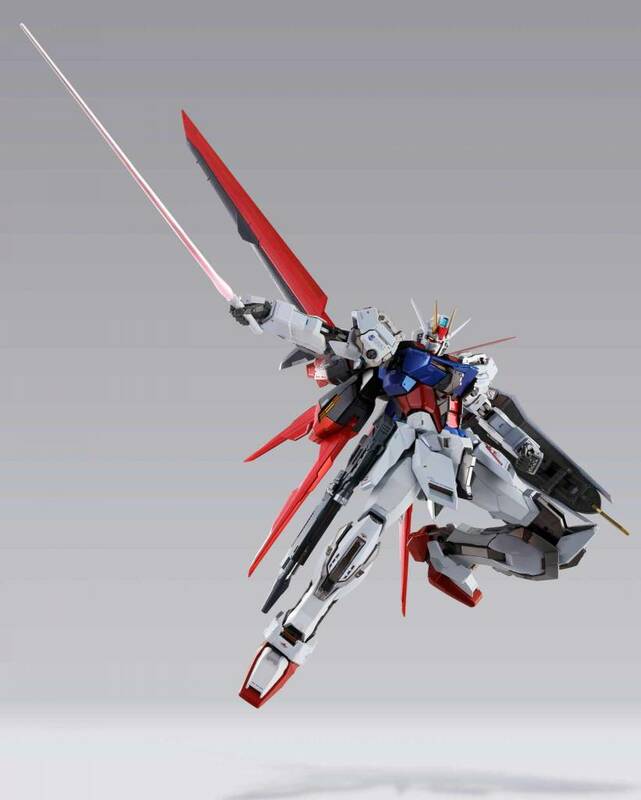 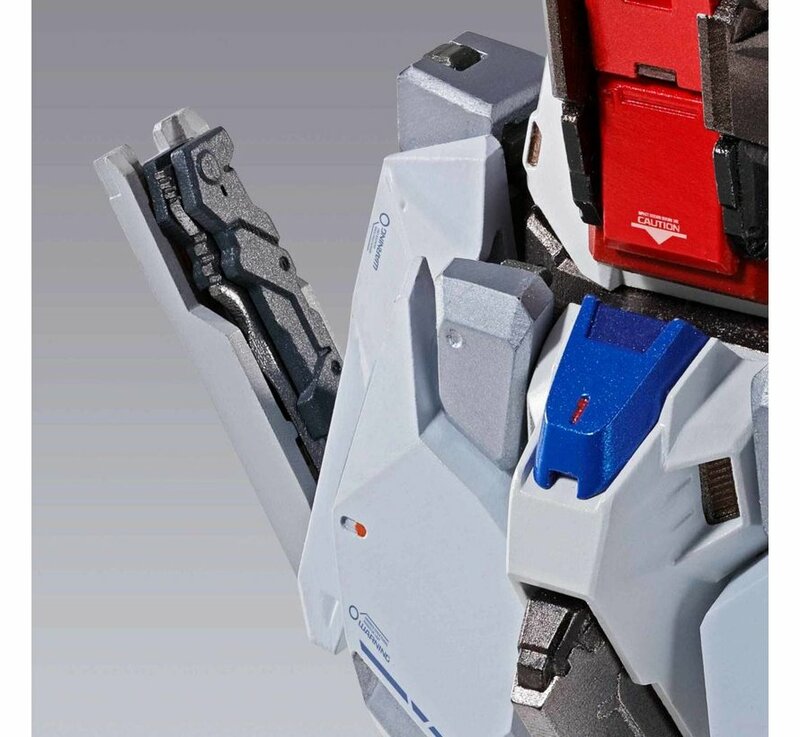 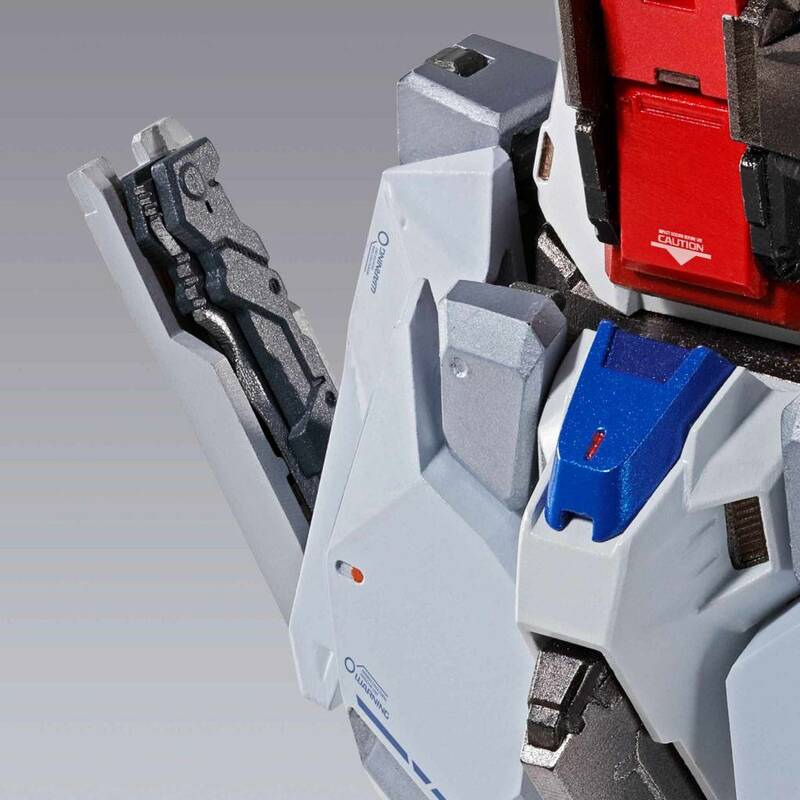 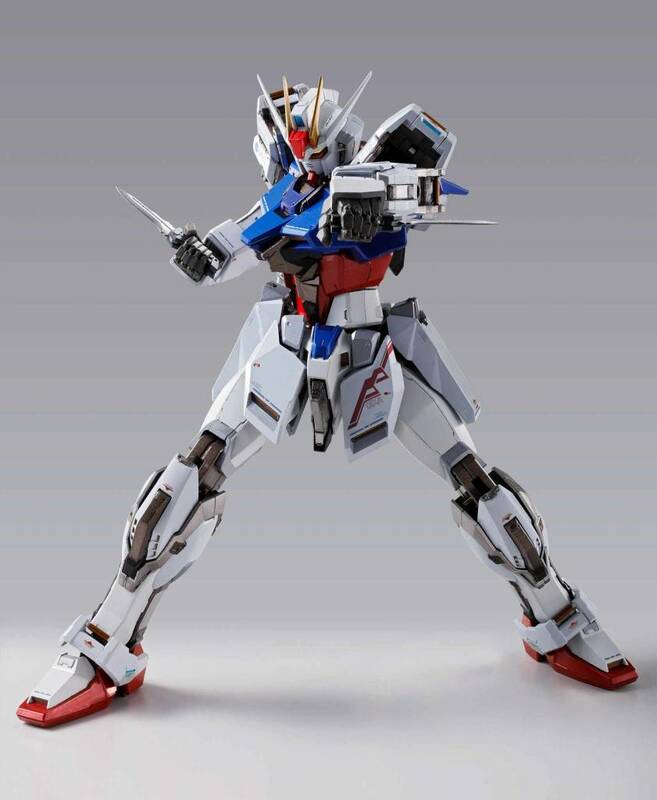 Includes four pairs of optional hands, an optional antenna, a 57mm energy beam rifle, two Armor Schneiders, an anti-beam shield, two beam saber blades, an Aile Strike Pack, a stand, two support arms, a display connector joint, and an Aile Striker pack stand.